It's easy to create circuit diagram for word with professional circuit diagram software. It works on both Mac and Windows systems. Circuit diagram is a graphical representation of electrical circuit using conventional symbols. There are two types of circuit diagram, one is pictorial circuit diagram which uses simple images of components; the other one is schematic diagram which uses simplified standard symbols. Engineers draw circuit diagrams to help them design the actual circuits. 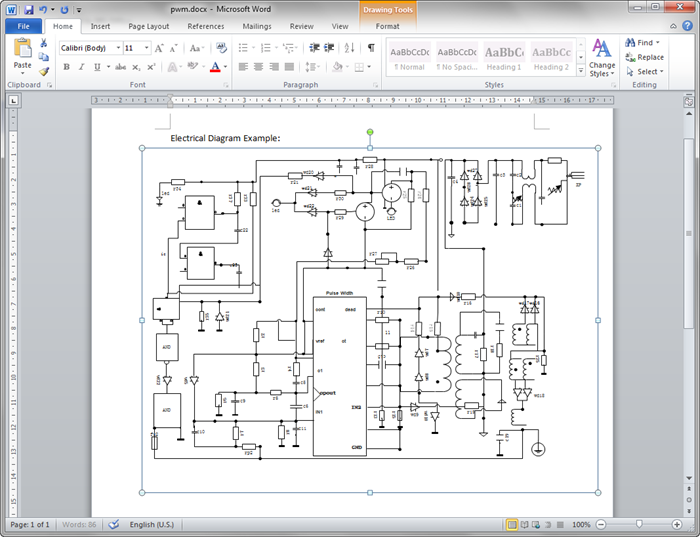 Draw a good-looking circuit diagram with premade symbols and export to word format instantly. Edraw circuit diagram software allows users design circuit diagram in a smart and fast way. It has not only the built-in symbols for drawing electrical circuits, but also powerful export options including Word. The drag-and-drop interface, point-and-click editor and advanced formatting tools have automated and simplified many parts of the design process. 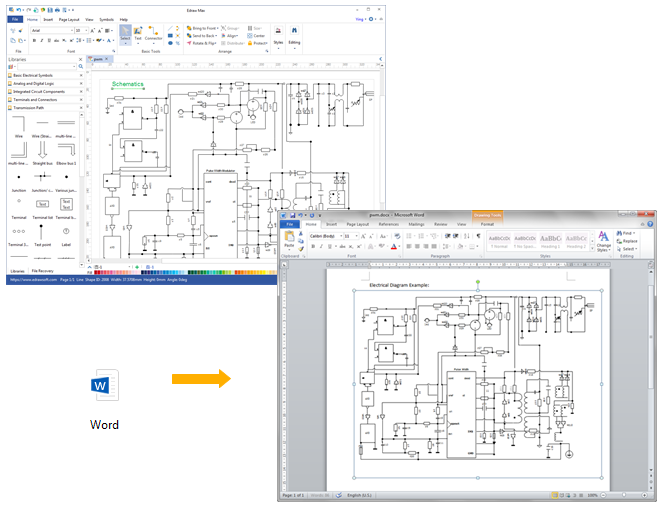 Finally, users can convert the circuit diagram to word format with one click. Enjoy! You can get started from ready-to-use templates in the software or start from scratch using the premade shapes. Start Edraw and choose Circuit Diagram in the Available Templates. Drag and drop shapes from libraries next to the canvas. Resize, recolor, rotate or connect them according to your needs. Double click the shapes to annotate. Personalize your circuit diagram and give it the suitable look and feel through Themes. Export it to Word format under File tab by clicking Export & Send. Note: The exported Word files can also be edited. Download Edraw to Create More Circuit Diagram for Word. Try Mac Circuit Diagram Software FREE.